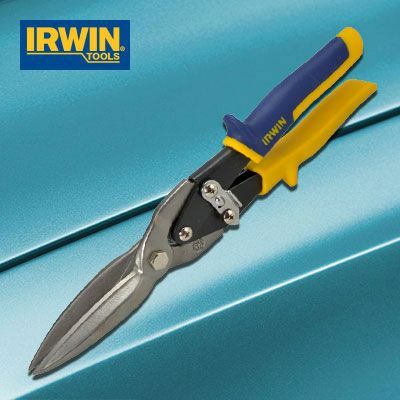 Irwin Aviation Utility Cut snips are designed for applications when a cut in lightweight material is desired. The precision-formed extra length blades are cold formed, meaning that the blades are stronger for an extended cutting life, require less cutting force, and provide a longer cut per stroke. Cut Capacity: 1.19mm Sheet Metal. 3.34cm Length of cut per stroke. Serrated lower blade prevents blade slip. Cutting capacity 1.19mm Sheet metal.